I bought my Model S for many reasons, but battery efficiency was not one of them. The question of whether Tesla battery technology is really better than the competition has been weighing heavy on my mind so I set out to try and find some definitive answers. I started by making a list of only 100% electric cars, what people call Battery Electric Vehicles (BEVs). I wanted to cut out the hybrids and other types as their batteries would be smaller and they would be less dependent on the quality of the battery. I ended up with 10 cars in my list. All the cars in the list use Lithium-ion batteries reported to have the highest energy and power density combined of any energy-storage medium. Each vendor uses various methodologies to achieve the best efficiency and performance, not limited to lay out of the batteries, heating and cooling as well as how charge min and max charge levels are controlled. Note: the RAV4 EV had a Tesla-provided battery pack. The car and pack arrangement have ended production. The Tesla Roadster, with its low weight and relatively large battery, is much more efficient than the Model S and was the most efficient car in this group. Second place in miles/kWh is the Smart Electric Drive. Another low weight small car — Smaller, lighter cars lead the pack on miles/kWh efficiency. No surprise to anyone, the Tesla’s all have the largest batteries and furthest range of any EV. Also not a surprise, battery size directly correlates with range. The Model S is not the most efficient car in terms of converting kWh to miles driven. The Model S is also not the most efficient car in terms of MPGe ratings. The larger the battery, the larger the charge rate the vendor seems (needs?) to support. 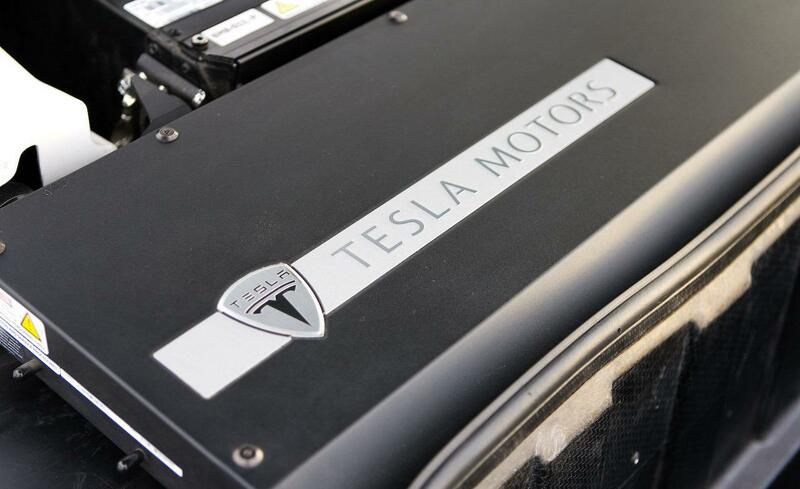 Tesla has the largest battery packs on the market, at least 2x any competitor. From this data it seems that Tesla has an edge in size and/or charge rate but not efficiency (the way it’s measured in the chart). But I suspect there is more to it than this so I ended up digging deeper to uncover some more data. The amount of passenger and cargo weight you’re able to move with those kWh used is not clearly outlined in the competitive analysis. You can make an extremely efficient electric bike but its not very practical for moving your family around or hauling groceries. What does the data look like if you try to account for weight or cargo capacity? With this additional data we start to see different leaders emerge. The larger batteries add a lot of extra weight of their own, but even with that, the Model S is more efficient at moving a pound of weight over a mile per kWh than any other EV. Other vendors aren’t too far off with the Ford Focus Electric in second place followed closely by the Mercedes B-Class. Moving weight around is useful, but that needs to translate into utility. Looking at how efficiently the EVs move a cubic foot of cargo space Tesla also comes out on top. Interestingly, in every efficiency category I found the 60kWh Model S beats the 85 kWh Model S. Like weight, some competitors are not far behind like the Mercedes B-Class at 71 vs 98 for the Model S 85. Collecting the data and reviewing it took longer than I would have liked. In raw efficiency terms the Model S doesn't have an edge on competition. When you factor in utility you can see a bit of an edge in having the Model S, but that utility alone is not likely going to justify the price difference between the Model S and the close competitors.From the data, my main conclusion around battery technology is that for the Model S, battery size (and range) is the key differentiator by the largest factor. This may not accurately reflect the difficulty and intellectual property around building batteries that are >2x larger than the competition or supporting the necessary higher charge rates, physical layouts, etc, but it is what is visible to the consumer.Personally, I bought the Model S because it is the only EV currently on the market that can handle my mileage. The EPA ranges you see often quoted are under pretty ideal conditions. Add some cold weather in, drive a bit faster than 55 MPH, or otherwise change those calculated factors and your actual range limit could be quite a bit lower than the numbers quoted. ALSO SEE: What happens when you completely run out of battery in your Tesla Model S? The Model S isn't the most efficient EV on the market, but for some people range is king. For those that don't need the range, it's going to come down to picking an EV that can comfortably handle their needed range and fits their style. One thing that Tesla has done very well is deliver a complete package -competitive battery technology, a nicely styled car, leading driver interfaces, and all in a luxury sedan. That all comes at a price that may be difficult to justify at face value, especially if you're moving to an EV to save money, but I encourage you to do a cost of ownership analysis before jumping to conclusions.